If you’re looking for the best local moving company, then you need to trust the professionals at All Around Moving & Storage. We’ve been providing affordable local moving service to the South East Michigan area since 1984, and we can help you with residential, apartment, and even gun safe movers. Our team is experienced and knows the local area, so we can help you plan out the most efficient local moving experience. Additionally, we use advanced moving supplies, and we even offer local moving storage solutions if you don’t need all of your items delivered at once. Individuals, families, and business owners have trusted All Around Moving & Storage as the local moving company of choice since 1984, and we’re still providing excellent customer service, professional results, and affordable pricing today. Get in touch with our team to experience the difference for yourself. One of the things that sets our local moving company apart from the competition is that we offer free local moving quotes no matter how much you need to move. Our team believes that we can only offer fair and honest service by providing free local moving quotes, and we stand behind our word throughout the entire relocation process. Whether you’re moving across the street or across town, our local moving company is available to take the stress out of the process. Once you’ve received your free local moving quote from All Around Moving & Storage, we’ll set up a time to pack, load, transport, and unpack your belongings that is convenient to you. We guarantee your complete satisfaction in all of our moving services, and if you ever find that you aren’t happy with any aspect of your move, we’ll work with you to make things right. 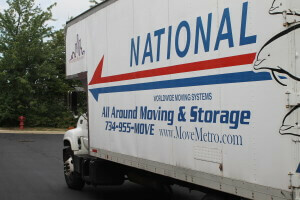 Contact All Around Moving & Storage by calling 734-941-2280 to speak with one of our trusted local movers. Our local moving company can provide you with fast, affordable relocation solutions.